Fall is fast approaching, bringing with it the change of seasons. As summer days begin to wane, we look toward this rich, seasonal transition to bring us cooler days, crisp nights, the warmth of color and, most exciting of all, The Julian Apple Festival! Get out your scarfs, pull on your boots and prepare to embrace this wonderful, annual tradition. Have you ever wondered how this quiet mountain locale came to be host to such a widely-celebrated event? Julian’s cool climate and abundant water lend themselves to an ideal environment for apples to thrive in. This came to be recognized in the late 1800’s as the first farmers brought apple trees into Julian. It wasn’t long before there were trees, laden with crisp, sparkling apples, abundant enough to demand a formal harvest. First celebrated in 1909 at the Julian Town Hall, the first apple-inspired gathering was to honor the successful Julian apple harvest. Games, music, dancing and food made for an all-night celebration for the local townspeople. Later revived in the late 1940s, the town of Julian has become host to the annual apple picking season event ever since. This year The Julian Apple Days Festival takes place on September 22nd and 23rd at Menghini Winery and runs from 10:00am to 5:00pm both days. This weekend festival kicks off a month-long celebration of all things ‘apples’ and the Julian apple picking season. Over the years, Julian has come to be recognized as “The Apple Capital of Southern California”. When you find yourself asking where to go apple picking, it’s Julian that immediately comes to mind! While there are a wide variety of California apple orchards to choose from, none can rival the quaint country feel and festivities of Julian. Not to mention, there are tons of great Julian apple orchards to choose from! A well-known member of the community and host to a wonderful “u-pick” experience is Volcan Valley Apple Farm. This farm is set to open it’s 2018 season in late August! Other orchards offering the joy of picking your own apples include Apple Starr Orchards, Apples & Art Orchards, and Peaceful Boutique Orchard. Each orchard offers its own, unique approach to creating an atmosphere that welcomes visitors and plays host to wonderful memories made. The Julian Apple Days Festival brings the collective of community, celebration, apples and their diversity; from cider to pie, wine to soaps, Julian apples are the foundation for a wealth of fabulous treats! Other things to do in Julian CA! Well, the answer is “yes” and Julian has you covered! If you’re searching for that perfect blend of warmth and spice going into fall, then Julian cider is sure to please. The Julian Cider Mill offers a fantastic variety of fresh-pressed apple cider as well as a wonderful collection of treats and gifts. There are also several great Julian wineries, offering an impressive collection of wines, including Menghini Winery, Julian Winery, Volcan Mountain Winery and Blue Door Winery. Wine tasting may invoke your appetite. While Julian affords its visitors its signature apple pie, apple cider, ambience and activities, there are also fantastic Julian CA restaurants to choose from. Enjoy gourmet treats and entrees at The Candied Apple, fine Italian dining at Romano’s or classic diner plates at Miner’s Diner. Other excellent choices include The Julian Grille, Jeremy’s On The Hill, Mr. Manitas, Julian Pie Company and The Red Barn & Wynola Pizza. The many eateries in Julian offer a wonderful opportunity to explore and discover! It’s hard not to fall in love with such a unique destination. You can proclaim your love to your special someone at a Julian wedding venue. Pine Hills Lodge and Sacred Mountain Julian offer beautiful facilities for your special day. With the variety of wineries, restaurants and lodging available, you are sure to create your perfect wedding for you and your guests! 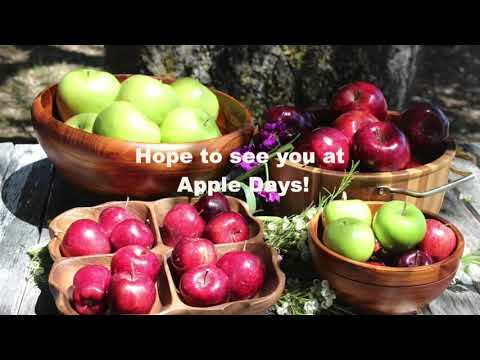 We can’t wait to see you for Julian Apple Picking! The excitement and atmosphere that surrounds Julian Apple Days Festival is here. From the various Julian apple orchards to the variety of activities to enjoy, this quiet mountain town will soon be bustling again with the smell of warm apple pie and fall in the air. It’s time to make way for the seasonal transition and embrace all that makes this time of year special. Mark your calendar, pull out your sweaters and come out to celebrate the harvest. Interested in Julian land for sale? Visit contact one of our agents about all of our great Julian properties!